Seriously, I can’t get enough of Trader Joe’s Wasabi Mayo, I crave it almost every day! 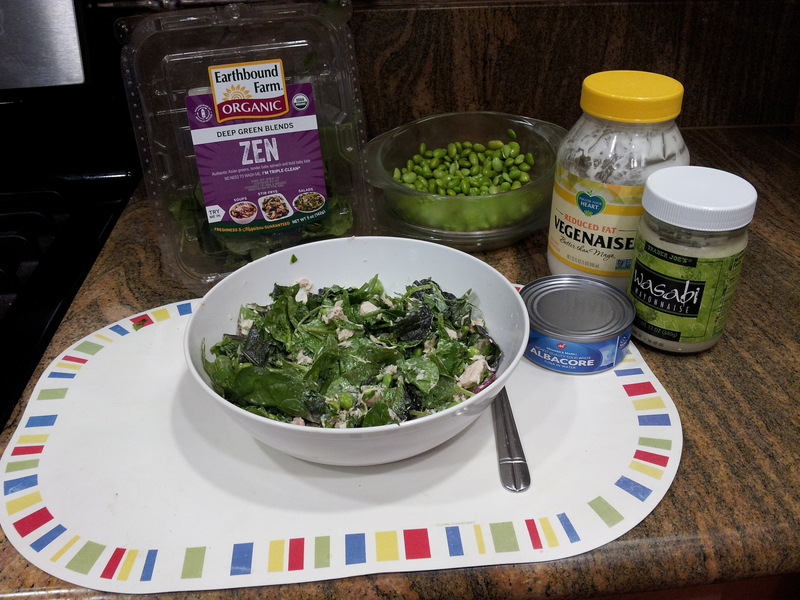 I threw this little salad together last night with the leftover edamame I had in the fridge. I added some chopped avocado to get some healthy fats. Combine the tuna and mayos in a small bowl. Next, fold in the edamame and serve over a plate of baby spinach. Top off with the avocado and it’s ready to eat. I crave this almost every day. The kick of Trader Joe’s Wasabi Mayo makes this one of my favorite lunches. 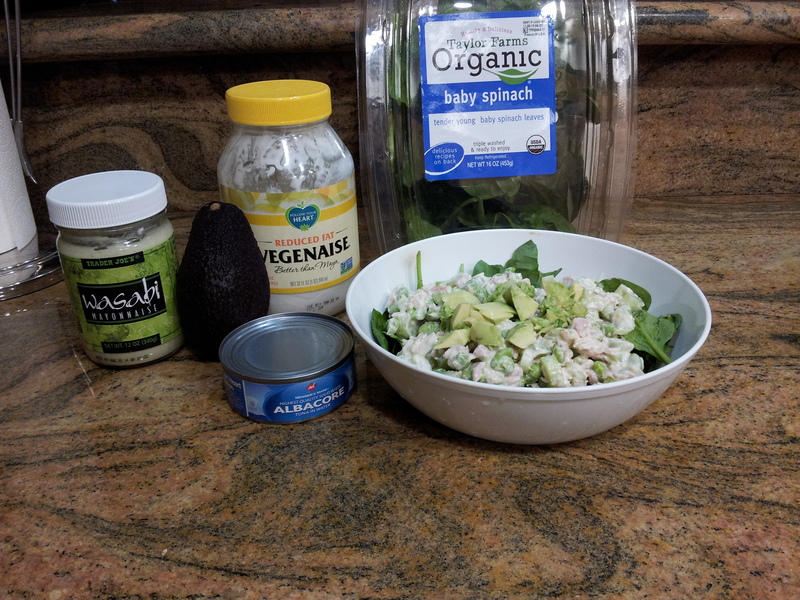 I like to start by filling a bowl with 1 can of albacore tuna (drained) then mix in the wasabi mayo and Vegenaise®. Next, I mix in my greens (I love new deep green blends by Earthbound Farm Organic) and top off with edamame.